A small number of Americans — many of them former members of the military — have volunteered in recent months to take up arms against the Islamic State group in Iraq and Syria, even as the U.S. government has hesitated to put combat troops on the ground. AUSTIN, Texas — Last fall, Patrick Maxwell, a 29-year-old Iraq War veteran now selling real estate in this bustling city, saw something in news footage of Islamic fighters in Iraq that he never saw as an infantry Marine there: the enemy. With the Islamic State group, also known as ISIS, hoisting its black flag above many Iraqi cities that U.S. troops spent years working to secure, he saw a second chance. He connected with a Kurdish military officer online, packed his body armor, some old uniforms and a faded green ball cap with a Texas flag patch on the front, and flew to Iraq. Within days, he was on the front lines as a volunteer fighter with Kurdish security forces, known as the peshmerga, in northern Iraq, peering through a rifle scope at Islamic State group fighters as bullets whizzed past. 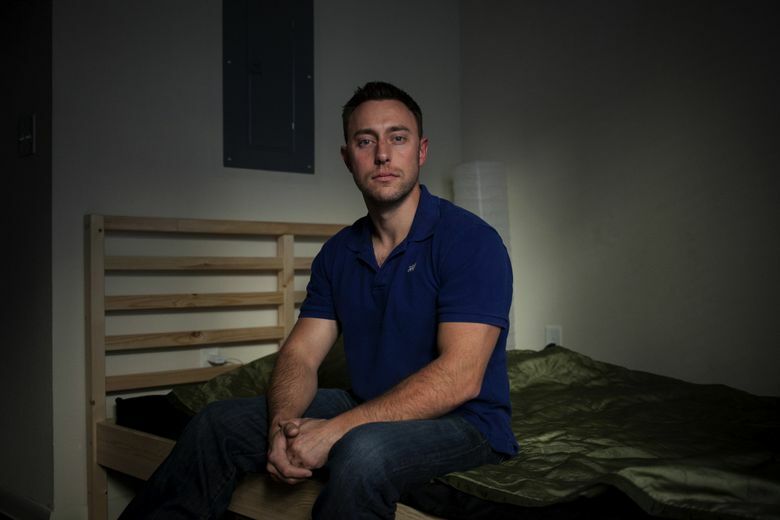 Maxwell is one of a small number of Americans — many of them former members of the military — who have volunteered in recent months to take up arms against the Islamic State group in Iraq and Syria, even as the U.S. government has hesitated to put combat troops on the ground. Driven by a blend of motivations — outrage over the Islamic State’s atrocities, boredom with civilian life back home, dismay that an enemy they tried to neutralize is stronger than ever — they have offered themselves as pro bono advisers and riflemen in local militias. “More than anything, they don’t like ISIS and want to help,” said Matthew VanDyke, a U.S. filmmaker who has spent time this winter with four U.S. veterans covertly training a militia of Assyrian Christians in northern Iraq to resist the Islamic State. He is now recruiting more veterans to help, though late in February, the American Mesopotamian Organization, a California-based nonprofit that helped fund the militia, broke ties with him. In a phone interview from Iraq, VanDyke said that many veterans spent years honing combat skills in war only to have them shelved in civilian life and that they are eager for a new mission. Though there is no official count, a spokesman for the YPG Kurdish militia in Syria said that more than 100 U.S. citizens are fighting there. Though peshmerga officials in Iraq recently said there were more than 10 Westerners fighting in Iraq, they now say there are none. While the U.S. authorities have tracked and prosecuted citizens who try to join Islamic State, it is unclear how they will respond to Americans’ fighting the group, especially since some Kurdish militias in Syria have ties to groups the State Department classifies as terrorist organizations. Behind the scenes, U.S. officials have pressured the peshmerga to keep Americans out of the fight, according to U.S. military veterans who have been in Iraq. After being contacted by The New York Times, the peshmerga released a statement saying it would no longer accept foreign volunteers. Other militias are still accepting Westerners. Maxwell said he went to Iraq in part because little was keeping him here. After a solid career in the military, which included guarding the president at Camp David and training troops, he left the Marines in 2011. He drifted from job to job, working construction, tending bar and pedaling a bicycle taxi. He also worked as a security contractor guarding an U.S. Consulate in Afghanistan, but left after seven months. Last fall, as the Islamic State group escalated attacks in Iraq, he was buying and selling houses in Austin when it dawned on him that he wanted to return to Iraq to find the enemy that had eluded him nearly a decade before. Fearing that joining the wrong militia could get him in trouble with anti-terrorism laws, Maxwell contacted a lieutenant in the peshmerga through Facebook and offered his services. “It was surprisingly easy. I just booked a commercial airline ticket and told my clients I was going backpacking in Asia,” he said in an interview in his apartment. In the northern Iraqi city of Sulaimaniya, Maxwell was greeted at the airport by the Kurdish lieutenant. Soon after, he befriended one of the few foreign volunteers there, a Canadian veteran named Dillon Hillier, who had served in Afghanistan. “We both thought it was important to help, to not sit back and watch it happen,” Hillier said in a phone interview from Ontario. The pair ended up in a ragtag infantry battalion on the front lines near Kirkuk, eating humble meals of rice and flatbread, traveling in beat-up, sometimes bullet-pocked trucks and sleeping on the floors of drafty shipping containers. Maxwell said that fighting was rare during his time on the Kurdish lines. “It was more like a World War I standoff,” he said. In the seven weeks he was in Iraq, he became disenchanted as he watched a procession of U.S. outcasts come to volunteer, including a man kicked out of the Marines who had arrest warrants in the United States and a biker with lip piercings, implanted fangs and “necromancer” written across his black leather jacket. “Guys who had nothing to live for and just wanted to lay down bodies,” Maxwell said. His time with the peshmerga abruptly ended in mid-January, he said, when U.S. Special Operations forces advising the Kurds spotted him at a base near Kirkuk and State Department officials told peshmerga leaders that U.S. civilians should not be in combat. Even now, he wavers between wanting to stay home and wanting to return to Iraq. At one moment, while sitting on the edge of his bed in Austin, wearing jeans and Converse sneakers, he said he had no desire to return. A few hours later, though, he saw a Facebook post about VanDyke’s new venture, a nonprofit security organization called Sons of Liberty International, which is trying to train Assyrian Christians to fight.